Around Easter, various theories about the life, death, and (non) resurrection of Jesus tend to find their way onto various media outlets. Sometimes these theories are outlandish and little more than attempts at attention; other times claims about Jesus come from more respectable sources. 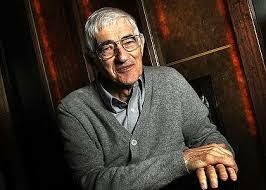 In today’s and tomorrow’s posts, I examine one of the more respectable voices on the Historical Jesus (though a voice I often disagree with): John Dominic Crossan and his book Jesus: A Revolutionary Biography. In Jesus: A Revolutionary Biography, scholar John Dominic Crossan presents his reconstruction of the historical Jesus. Citing the fourfold accounts of the canonical gospels as presenting a problem for the Christian tradition when trying to determine the historical narrative of Jesus’ life, Crossan endeavors to make use of historical-critical methodology in determining the true narrative, words, and actions of the historical Jesus. Considering the cross-cultural anthropology, Greco-Roman and Jewish history, and literary and textual considerations of canonical and non-canonical material, Crossan seeks to find accounts that fits the known historical record, cultural expectations, and presents material unique enough to demonstrate the life of Jesus of Nazareth. Crossan operates with a set of presuppositions that some may find difficult to accept, such as his philosophical naturalism on some points. Overall however, Jesus: A Revolutionary Biography presents a narrative of the life of Jesus that, given the materials and criteria used by Crossan, presents a problematic image of the historical Jesus. Crossan considers the life of the historical Jesus in rough chronological order, and thus begins his account with the birth narratives. Casting Jesus in light of the Imperial context, he argues that “Greatness later on, when everybody was paying attention, is retrojected onto earlier origins, when nobody was interested. A marvelous life and death demands, and gets, in retrospect, a marvelous birth.” In light of Crossan’s arguments for Jesus (and his early followers) to be understood as thoroughly Jewish, one might ask how a Jewish understanding of historical events could be construed in light of Greco-Roman historical mythology. For Crossan, the Lucan parallelism of the birth narrative with that of John the Baptist and the Matthean parallels to Moses both indicate that the birth narratives are theological and not historical. Crossan here assumes that divergence means historical difference, as multiple attestation of sources to an event is of importance for his construction. Crossan concludes that, given the dearth of historically reliable birth or childhood narratives, Jesus likely was born of like any other Jewish boy in Nazareth, and that he was raised as an artesian peasant in the rural village setting. Concerning Jesus’ kingdom teaching and message, Crossan argues that it was one with radical social implications that disrupted normal Israelite collectivism within the Palestinian context. “His [Jesus’] ideal group is, contrary to Mediterranean and indeed most human familial relations, an open one equally accessible to all under God. It is the Kingdom of God, and it negates that terrible abuse of power that is power’s dark specter and lethal shadow.” The social and political implications of Jesus’ kingdom of outcasts, as demonstrated through his egalitarian teachings and parables, was one with dangerous cultural implications for Jesus’ day, as radical egalitarianism would have upset the balance of power and politics in the historical Jesus’ Ancient Mediterranean culture and context. Crossan’s general construction of Jesus’ teaching to this point serves as a necessary reminder of the equality of all within the kingdom of God. While practical social implications for the kingdom of God within the world may be interpreted and applied differently by differing groups of Christians, the message that God’s kingdom is for everyone regardless of social standing, biology, or mental capacity remains important for our context. Moving next to the historical Jesus’ healings and miracle accounts, Crossan demonstrates both a high level of skepticism as well a fair amount of his philosophical presuppositions. Drawing a differentiation between an illness as a social condition within an honor and shame society and a disease as a medical condition, Crossan argues that Jesus healed a great number of illnesses with his teaching and method of open commensality. Concerning demonic exorcism, Crossan believes that the historical Jesus enacted a number of demonic expulsions, possibly through a trance state of his own, as a form of rejecting and revolution against the imperial colonialism of Rome. The principle demonstration of which can be found in the textual transmission of the demon(s) called “Legion” in the Markan account. While Crossan seeks an natural explanation for the later tradition and teaching surrounding Jesus’ healings and exorcisms, he fails to truly account for narratives concerned with nature miracles. Earliest sources record Jesus as a miracle worker, and even within the canon there is multiple attestation to the Feeding of the Five Thousand that Crossan does not fully explain within his framework of the historical Jesus. While he may maintain such stories are later additions to Jesus tradition, he does not provide an explanation for the early development of such stories (extra-canonically even) nor a satisfactory explanation of their varied attestation. John Dominic Crossan. 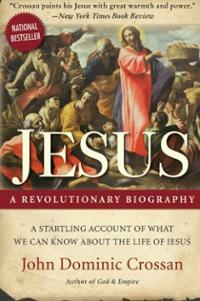 Jesus: A Revolutionary Biography. Harper San Francisco: San Francisco, 1994. X. Ibid., XII-XIII. Ibid., 6. Ibid., 4-26. Ibid., 23-8; It should be noted that some scholars have questioned Nazareth’s portrayal as a village setting in light of its proximity to Sephorris. Ibid., 60. Ibid., 60-74. Ibid., 72-4. Crossan on page 74 cites from a peasant writing in the 19th century. A strong critique of Crossan’s peasant ideology and understanding has come from a variety of sources, including this author, who has written about this issue elsewhere. To cite a modern source as an understanding of ancient peasant psychology and anthropology demonstrates a lack of scholastic care on Crossan’s part, as well as a certain amount of cross-cultural insensitivity. Crossan needs to further develop his case for the mindset of a Jewish peasant (as he attempts elsewhere) before such an argument can be fully persuasive in the context of Jesus: A Revolutionary Biography. Ibid., 82 especially. Ibid., 75-84. Ibid., 85-101.